#Join the Initiative and Be the Difference!! 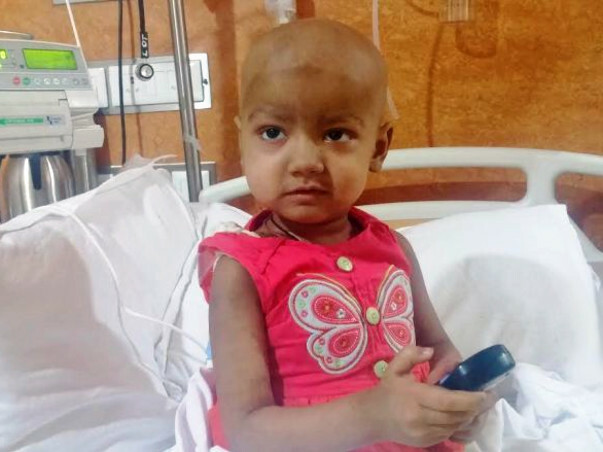 Due to sudden and unexpected hospitalization fundraising target amount has been now bit increased to cover medical costs, As Ridhi has multiple severe complex health needs, Although it will not cover the entire bills- Till date, we have spent over INR 14 MILLIONS on her treatment. 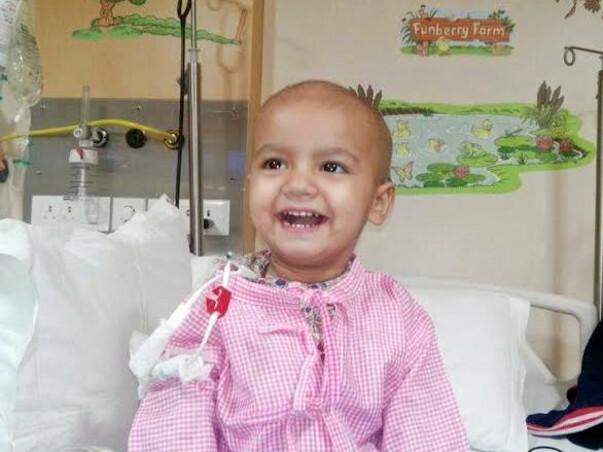 I would like to mention that the money raised is only for Ridhi's treatment, none of the fund raised will be spent on anything else. Also not posting any of her pics this week because she looks a bit puffy and tired. Whole family is remaining extremely positive that with her strong sprit along with your help and support and ofcourse prayers that she WILL beat this and has been touched by kindness, generosity and love of so many people - many of them even we have not had the opportunely to meet or know and it is truly humbling to see. 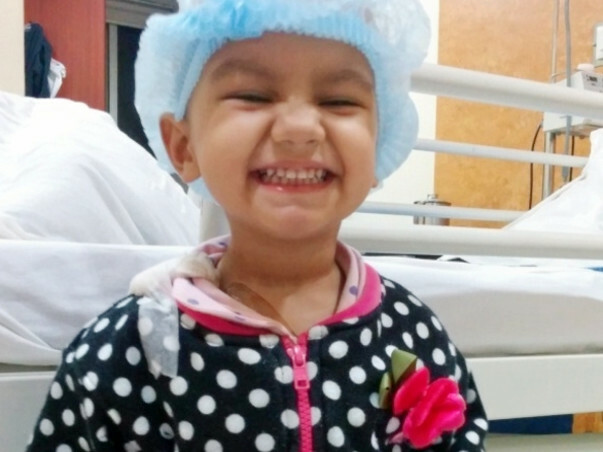 I appreciate any contribution to the cause for a child who deserve her life back and thank you for all your prayers and assistance in time of need. The most challenging part of having an ill child who can't speak yet is that they cannot tell you what is wrong, so you don't know if they are in pain, scared, frustrated, tired, or something else all together. Stem Cells Transplants comes with lot of stress and recovery of the immune system may take up to a year. 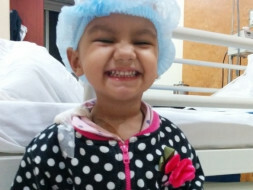 The transplant that could help Ridhi to beat this horrible monster called cancer, has left her battling many more life threatening situation - GVHD (graft-versus-host disease- is a serious complication that can occur after a stem cell or bone marrow transplant in which the newly transplanted donor cells attack the transplant recipient's body). 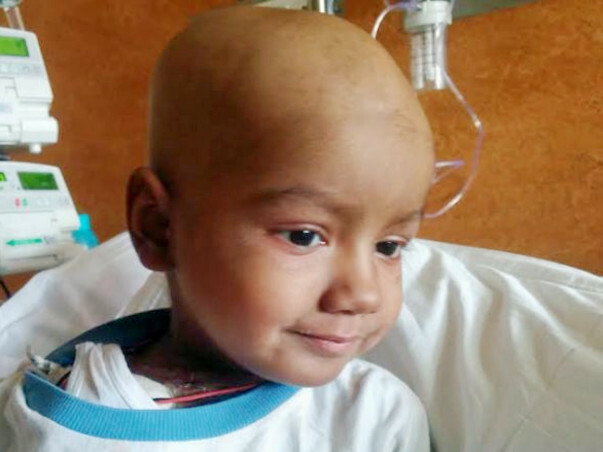 Ridhi has developed Grade-3 GVHD of the skin (Rashes on body), gastrointestinal tracts (life-threatening diarrhea), lungs (breathing difficulties- for almost a week), and very high liver enzymes. 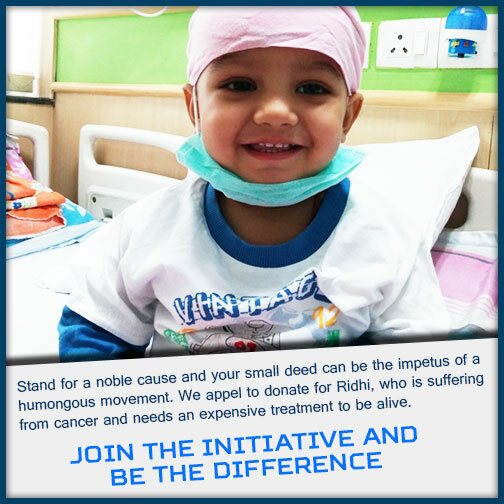 We still have to find a way to help with the huge financial burden, So again i request all to please assist us as much as you can to spread the word about Ridhi's struggle. Each and every one of you have played a key role and we would like to see a continued support from all of you. I want to thank every single person including her healthcare staff that has been involved in her battle against Cancer. We are humbled to see all of you come together as a strong community and your assistance is endlessly appreciated! !